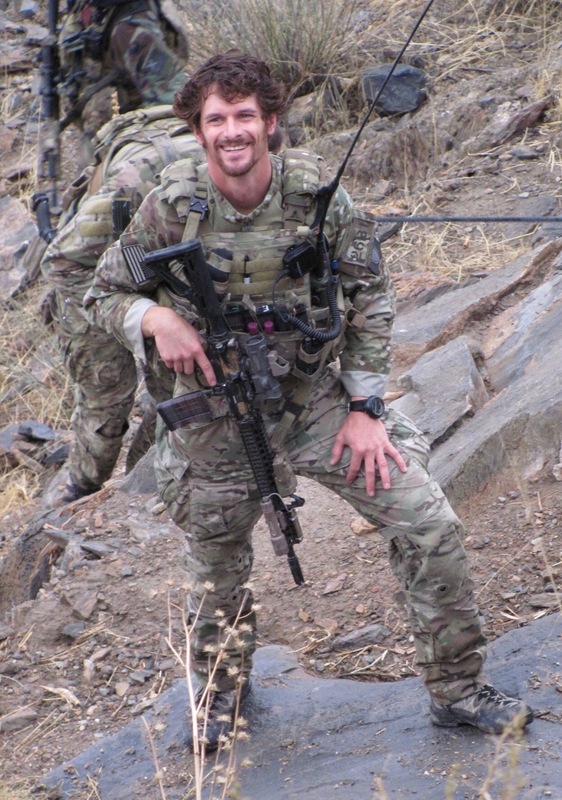 Massachusetts Fallen Heroes regrets to confirm reports that one of the organization's founders, Sergeant First Class Eric Emond, was killed on November 27th, 2018 while fighting in Afghanistan. 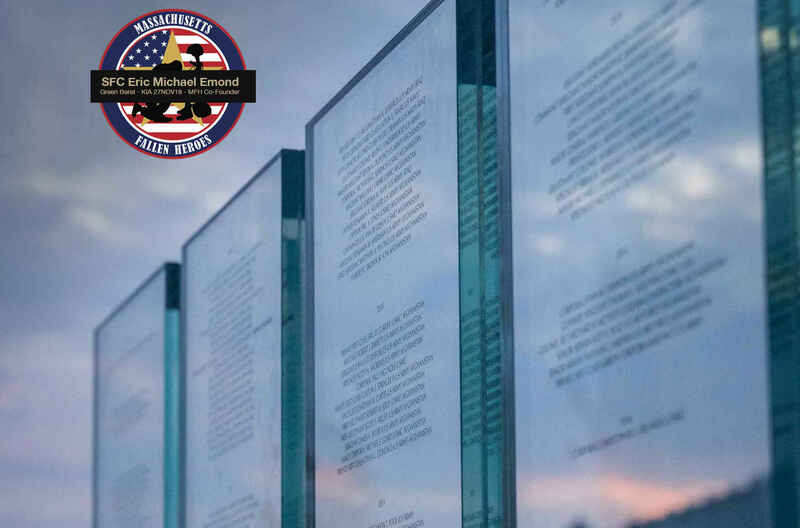 Eric was instrumental in establishing our mission and the Massachusetts Fallen Heroes Memorial in Boston to honor Massachusetts military members who have died in service since September 11, 2001. Eric was a part of Massachusetts Fallen Heroes from day one. He was in the room at Florian Hall developing our mission, creating our logo, and ultimately, designing our memorial from the back of a napkin. This organization would not exist if it wasn't for Eric's commitment and dedication, along with the support of his wife, Allie, and sister, Laura. From the beginning, the Massachusetts Fallen Heroes' mission was to Honor the Fallen and to Support and Empower Gold Star Families and Veterans. Eric was closely connected to the Gold Star Family community; he proudly fostered those relationships and built that network within the organization. Sadly, our mission has become all too real. Eric and the Emond family have become a part of our Gold Star Family community. We will honor him, as we have the other brave men and women on our memorial, through our programming. We will care for his family as he did for all Gold Star Families. Eric was a tried and true Patriot. He is our brother and it is our Duty to do what is best to Honor, Support, and Empower the entire Emond Family. Eric served seven tours in America's longest war, in both Iraq and Afghanistan. He dedicated his life to his beautiful wife, Allie; his three children; and his country. The community has reached out to support the Emond Family and we are dedicated to coordinating those efforts. Massachusetts Fallen Heroes would not have become a reality without Sergeant First Class Eric Emond and now it is our duty to Honor his family. I was moved by the courage of Mrs. Emond in running the Boston Marathon in honor of her husband and by his ultimate sacrifice and vision as a founder. In Honor of SFC Eric Emond, his family and all our fallen. Saw on WBZ TV that Allie Emond is in Boston to run the marathon in memory of her husband and to help raise money for Massachusetts Fallen Heroes. I am so very sorry for your loss. I am the oldest of 3 girls and my dad was in Vietnam for 2 years. Please put $25 towards each girls education. Your story on CBS was so heart tugging. Thank you for telling you story and sharing your husband with the world. Saw your segment on Fox News. Currently have daughter and 3 small boys living with us while her husband is deployed in Afghanistan. God bless! For his great sacrifice for his country and his family. Our thoughts and prayers are with his wife and precious children. We share in their sorrow. America cannot thank you Eric and family for everything you have done for us. True Patriot and Warrior. So grateful for such an amazing person.